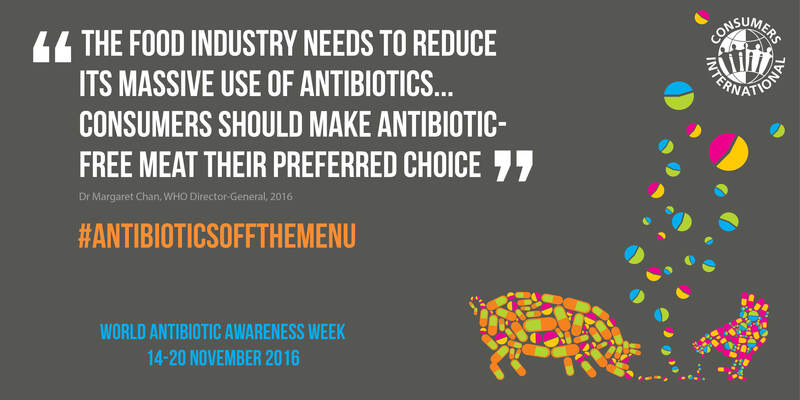 With our members we're calling on multinational restaurant chains, including McDonald’s, KFC and Subway, to get #AntibioticsOffTheMenu. We want these chains to make global, time-bound commitments to stop serving meat from animals routinely given antibiotics included on the World Health Organization’s list of important antimicrobials. Antibiotic resistance is a global public health crisis. Without urgent action, we’re heading for a post-antibiotic era, in which the drugs we have no longer work and common infections and minor injuries can once again kill. By 2050, drug resistant infections are predicted to kill 10 million people a year – more than the number of people that die from cancer today. The projected economic costs of this growing public health threat are also staggering. 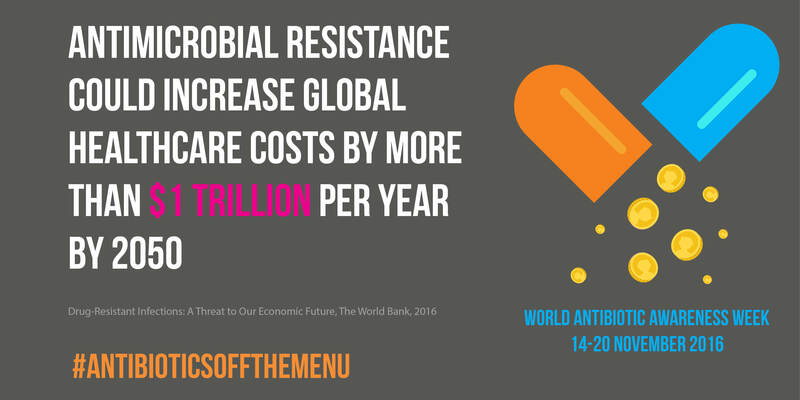 By 2050, antimicrobial resistance is expected to cost the world $100 trillion, and, according to the World Bank, could push over 28 million people into extreme poverty. 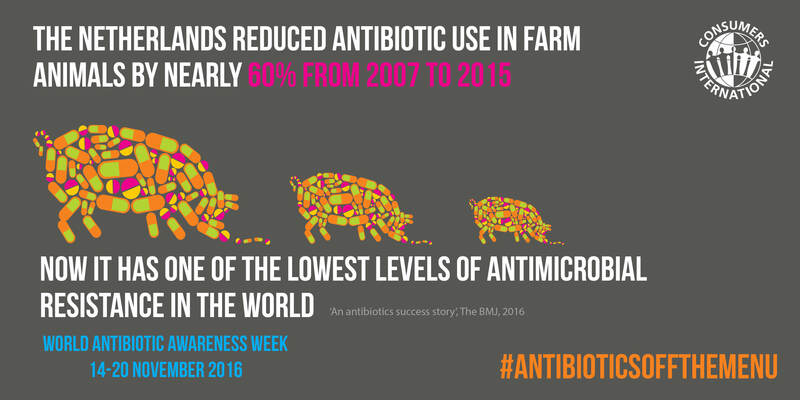 During World Antibiotics Awareness Week 2016, a coalition of NGOs, scientists and doctors, led by Consumers International, published an open letter to the CEOs of McDonalds, Subway and KFC (eng). Read the full letter here (eng). 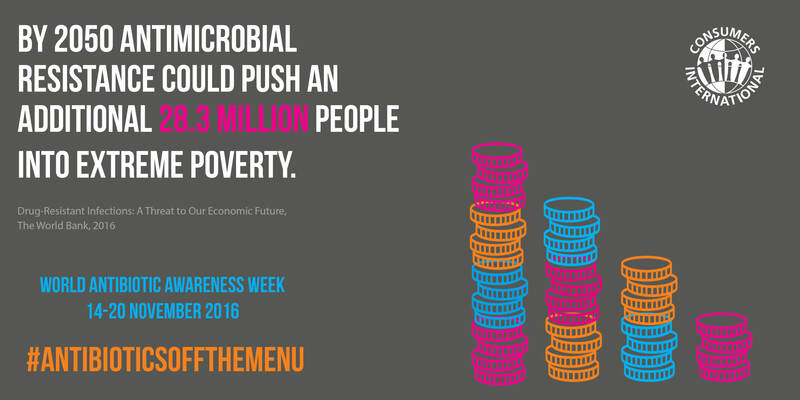 Our #Antibioticsoffthemenu message on World Consumer Rights Day 2016 reached over 7 million people worldwide. More than 90 Consumers International members in 60 countries carried out their own activities. More than 228,000 people across the world called on KFC, McDonald’s and Subway to make global, timebound commitments to limit antibiotics by writing to the CEOs through Consumers International and ShareAction, and through online petitions with Consumer Reports and with SumOfUs.